It may not seem like much for what you pay for, but at least in our family, this little package of fun has provided long-lasting entertainment for my 2, 4, and 6 year olds, even after 2 months of near daily use. Since we have a cat, I was worried that our kinetic sand box would end up being mistaken for a litter box, but after 2 months, so far it hasn’t happened. I was also concerned that like our failed floam experiment, it would collect pet hair, but since it’s not sticky at all, that hasn’t happened either. Occasionally I find a cat hair or two in the box and it’s easily removed. I told the kids that if they got any outside the box, I was going to sweep or vacuum it up and throw it in the trash, but honestly, it is so easy to clean since it sticks together so well, that the tiny bit that has been removed from the box is easily clumped back into a pile on our hard floor and thrown back in. Best of all, it doesn’t dry out, so I don’t need to monitor when my kids play with it, like I do with Playdoh to make sure it all gets put away. I should probably look into making our own kinetic sand at some point, but honestly, I think this prepackaged stuff is worth the cost. Everyone in our family (and even child and adult guests) love how the sand feels. It doesn’t leave any residue on hands or clothing. After 2 months, I think we’ve lost very little of the original amount and it still gets played with by someone in our house nearly every day. Mostly, in this era where it’s a challenge to get kids to resist the siren song of media, I love the tactile, creativity-inducing play that kinetic sand inspires. This is the best brand of the ones we have tried (at our home and others), too. 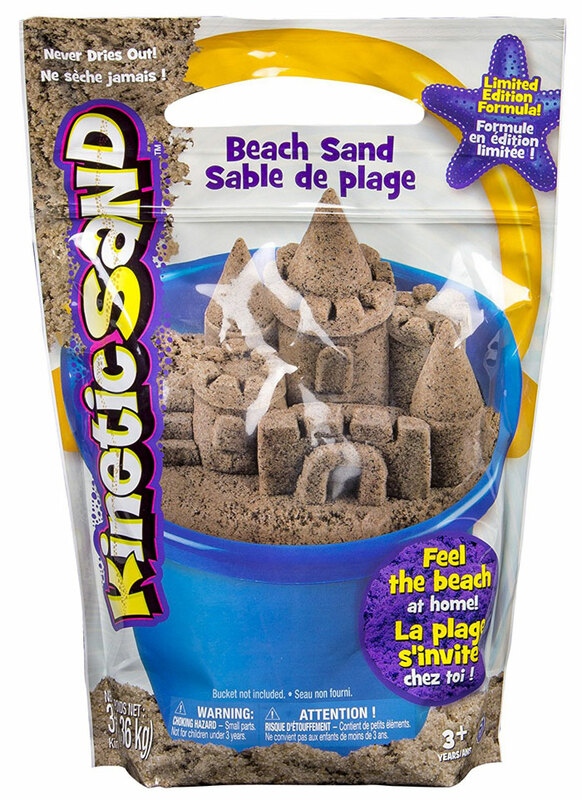 I don’t think you can make your own kinetic sand – it has a polymer base. I figure it’s a good investment for the hours of play.